We’re bringing the funk back to Dubai before the end of the Spring season, with bamboozle aka eli Soul Clap. A time traveller on a musical spaceship of dopeness, Bamboozle has traversed the globe, dazzling dancefloor dwellers in the USA, Europe, Japan, Mars, Jupiter, and galaxies no one has heard of yet. bamboozle will be taking over the decks at Barbary, on April 25 for another night a disco debauchery – and we can’t wait to see you there! 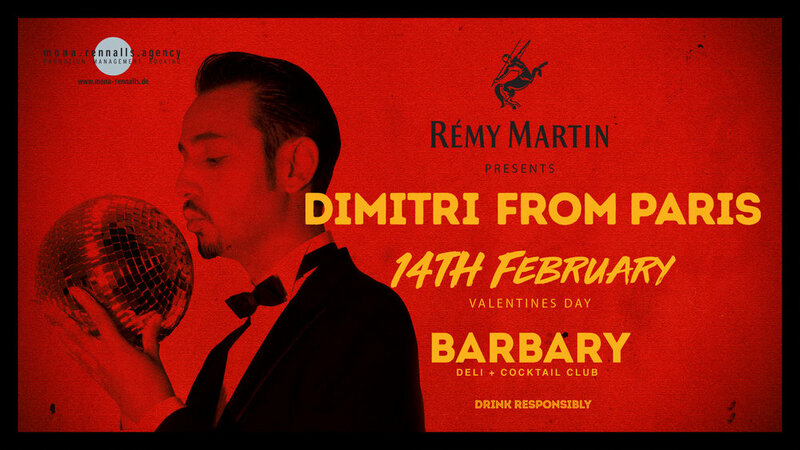 To make a reservation, get in touch at info@barbary.ae, or call 04 247 6688. In honour of all the inspirational women of the world and in celebration of International Women’s Month, Underground disco DJ sensation Natasha Kitty Katt will be hitting the decks for a special-guest performance that’s guaranteed to get BARBARY’s dancefloor dwellers in the mood to groove all night long on Friday, March 15th. A DJ of limitless talent with relentless passion, Natasha Kitty Katt has built a global reputation for lighting up dancefloors with her energetic and eclectic brand of underground disco. Portuguese producer, DJ and multi-instrumentalist Moullinex made a stop over in Dubai amidst his 'Hypersex Tour' as resident DJ Diamond Setter warmed up the dance floor keeping the disco tunes coming all night.